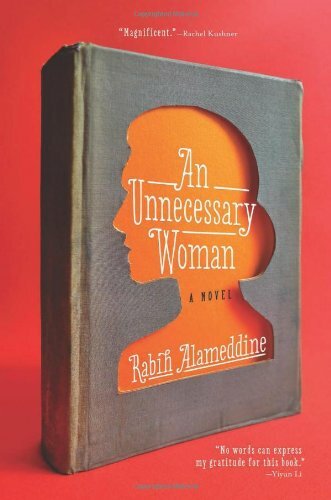 I'd never read a novel by Rabih Alameddine (rabihalameddine.com) before, but picked this one up because my local independent bookshop, BOOKS INC. (booksinc.net), recommended it, and because the narrator is a older woman living in Beirut, who fills a gap in my collection of interesting narrator experiences. Also, she loves books. LOVES books. Obsessively. And quotes from them constantly. Aaliya is old enough that I likely shouldn't refer to her by her first name, but just roll with it. She was married off in her teens, was divorced shortly thereafter, and became a sort of non-person in conservative Beiruti culture that didn't have much use for divorced women of any age. Her life's work became working in a bookshop, and both reading and translating the English and French language books in it, books she embraced wholeheartedly, books which opened windows into other worlds through their prose that were nailed shut in her own world. When my father called me up to ask what I was doing, I described how, during the civil war in Beirut, Aaliya knew by looking at the grocery shop across the street whether or not it was safe to venture outside, or whether to do so risked her life. I described how she couldn't bear to sit in bomb shelters during Israeli bombing campaigns after her home was defiled by soldiers, and so stayed in her apartment, a semi-automatic rifle in bed beside her. I described... things that are so well-written as to take on the heft of compelling, real life experience. I also told him that I had to keep my smartphone handy, so I could look up the history behind some of the events in Jordan, Israel, Palestine, and Beirut she mentions - all of which had real histories, separate from her (fictional character) experiences. Aaliya is a compelling narrator who has had a complex, bookish, introverted life, which didn't spare her from stepping over dead bodies in the street, or realizing that she was acquainted with professional torturers. Which makes perfect sense, in the context of her life story, but which isn't expected. This was another book that made me lose all track of time while engrossed in reading it.